Manuel Monge received the B.S. degree (with honors) in Electrical Engineering from the Pontifical Catholic University of Peru (PUCP), Lima, Peru in 2008, and the M.S. and Ph.D. degrees in Electrical Engineering from the California Institute of Technology (Caltech), Pasadena, CA in 2010 and 2017, respectively. He joined the Ming Hsieh Department of Electrical Engineering at the University of Southern California (USC), Los Angeles, CA as an Assistant Professor in August 2018. Before joining USC, he spent a year at Neuralink Corp., developing ultra-high-bandwidth brain-machine interfaces. His research interests include integrated circuits and systems for medical electronics, analog and mixed-signal integrated circuits, implantable and wearable medical devices, sensing and actuation of biological media, localization of devices inside the body, fully wireless systems, neural prostheses, and brain-machine interfaces. 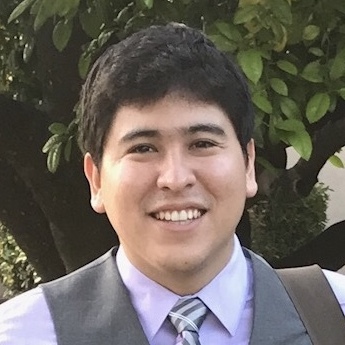 Dr. Monge is the recipient of the 2017 Charles Wilts Prize from the Department of Electrical Engineering at Caltech for outstanding independent research in electrical engineering leading to a PhD, and the 2017 Demetriades-Tsafka-Kokkalis Prize in Biotechnology from the Division of Engineering and Applied Science at Caltech for the best thesis in the field of biotechnology. He was also the co-recipient of the 2015 IEEE CICC Best Student Paper Award, 2nd Place, and the recipient of the Caltech Rosen Scholarship in 2014. My research interests focus on combining and integrating physical and biological principles into the design of integrated circuits to engineer miniature biomedical devices for fundamental research, medical diagnosis and treatment.